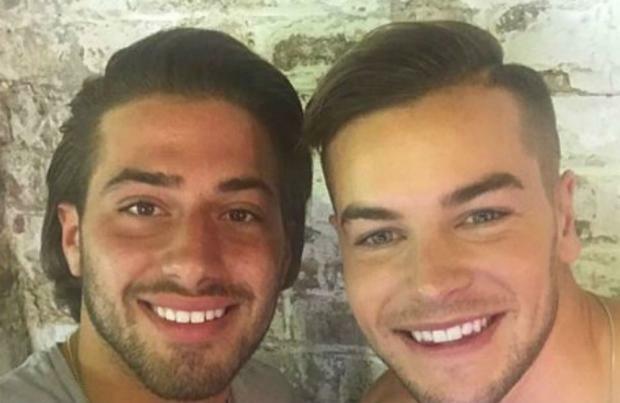 Kem Cetinay and Chris Hughes have reportedly signed a record deal. The 'Love Island' finalists - who struck up a bromance in the famous villa over the summer months - have been talking about releasing a rap song since they finished on the reality TV show in August and now it looks like their dreams have finally come true as it's believed they've been having talks with music bosses at Sony this week. A source told The Sun newspaper: "They have been in talks to sign a record deal since leaving the villa. Kem and Chris captured the nation this summer - and everyone including Stomzy was keen to see them pursue their love of music. They're really excited to have been given this opportunity - it's like a dream come true." And it's not just their music careers that are taking off, as the pair have also been snapped up by ITV for their own spin-off show 'Straight Outta Love Island'. And, although he's agreed to do all this work, Chris recently said he wasn't keen on his new-found fame and wanted to run back to the farm he grew up on for normality. He explained: "I hate it. I hate fame - straight up. "I'm nice, so I smile all the time when people want photos, but I don't enjoy it. It's not glamorous and I just don't enjoy it. It's a different lifestyle. "At times I just miss home, because all my mates are that way and my family and stuff. And it's different - it's quieter. I almost feel like how full-on it's been for the three weeks since we've been out, that quietness would be nice."